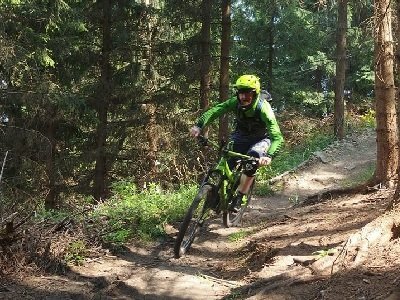 With endless forest trails and mountains to explore, the Czech Republic is an ideal place for cyclists,mountain bikers and adventure seekers. 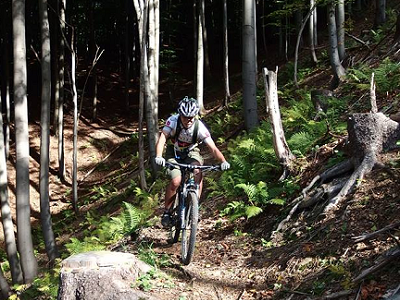 The main focus at Rideczech is offering All Mountain/Enduro style MTB holidays to a wide spectrum of riders. Some days they earn their smiles and other days the riders use local ski lifts to add variety to the days riding. Integrating the ski lifts into the days ride offers you an awesome all round day out. This combination is a guest favourite. If you want a 100% uplift day then Jody and the team can do that as well. After a days riding you can relax with a cold beer on the terrace or challenge your mates to a game of table football/table tennis. Aside from the Mountain Biking holiday aspect of their setup, they also offer high quality, self-catering accommodation for families and groups of friends. At the property Ride Czech keep various animals, chickens, goats, ducks, turkeys and sometimes the odd sheep. They grow their own vegetables and try their best to live in a way that has the least impact on the environment as possible, whilst providing us with excellent quality food. The house itself was built in 1928 and provided accommodation for the workers at the local sawmill in Navsi. All the bricks that were used to build the house were made from the heavy clay soil around the property and fired onsite. Visit Jody and the team here and have an amazing holiday, riding in a fantastic mountain environment.